Best of luck on your fantastic musical journey. He's going to do great things!! Good Luck Max! You are a inspiration to so many people! Keep sharing your music Max! Maxwell is a 14 year old with high functioning autism who is extremely passionate about the orchestra. He is currently in the 8th grade. He was introduced to the double bass in the 6th grade and has been hooked ever since. His teachers have recognized a dedication and talent that is not typical. 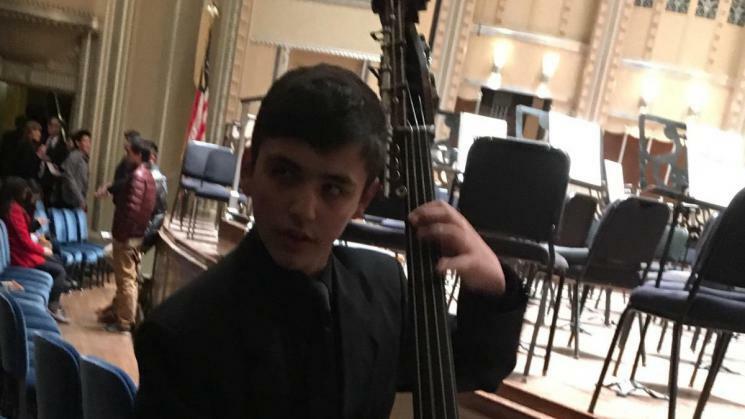 He is currently a principal bassist for 2 ensembles in the Baldwin Wallace youth orchestra and plans to audition for the Cleveland Orchestra youth orchestra in May. He is currently using a school bass and desperately needs his own to continue to pursue opportunities to play outside of school. His long-term goal is to become the principal bassist of the Cleveland Orchestra.